Southern Loggin’ Times February issue spotlights Georgia Forest Products’ owner Jeff Alexander for his hard work in his logging business. 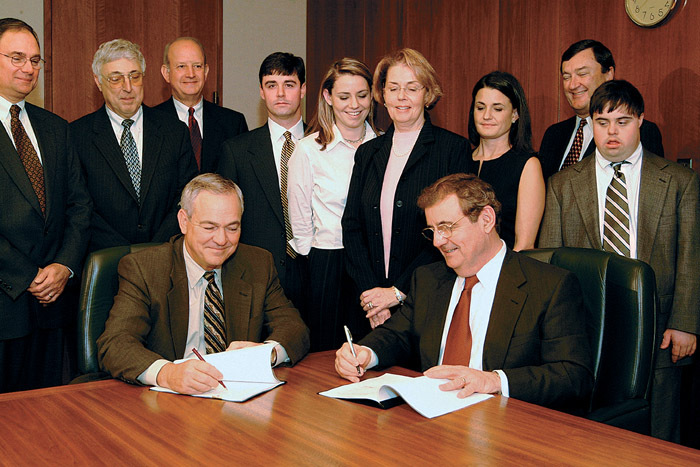 Curnest Guillot is mentioned for taming Louisiana’s swamps for a partnership with Martco. Also featured is the replacement of Timberjack green by Cat yellow at Pioneer stores. Curnest Guillot and crew are as tough as they come. 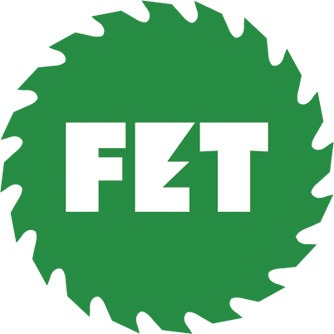 The 58-year-old owner of Guillot Logging, Inc. and swamp specialist delivers his share of timber for Martco Partnership, one of the largest private landowners in the South and a diversified forest products company whose mills manufacture lumber, plywood and oriented strandboard (OSB). The rolling hills of rural Orange County of central Virginia are home to three brothers who operate as Glen Morris & Sons Logging, Inc. Buck, 41, Gill, 35, and Dean, 30, work as equals in the small business. 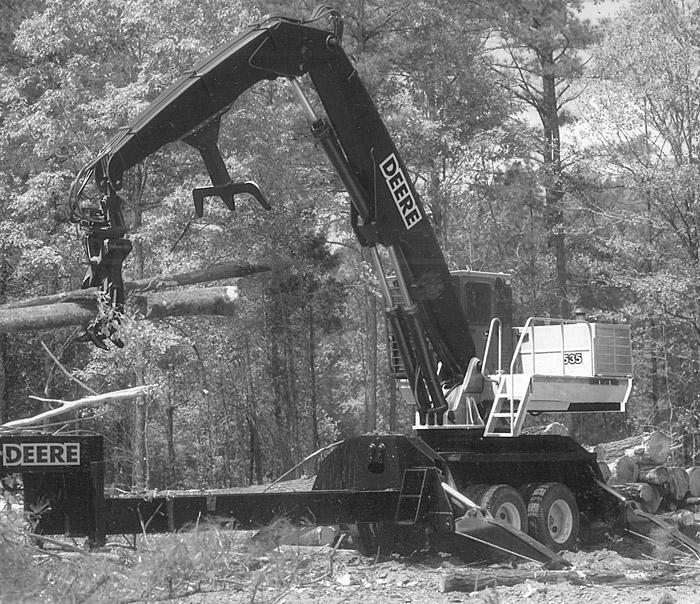 From cruising and selecting tracts to maintaining their equipment, the brothers work well together, building on a rich family history of logging. 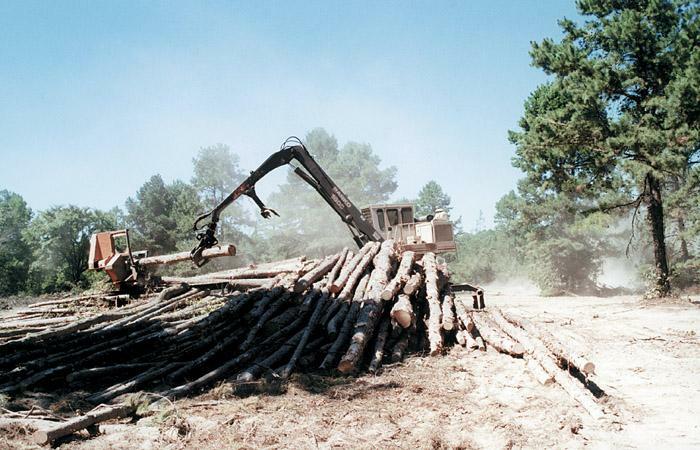 In the wake of Caterpillar’s January acquisition of Pioneer Machinery, Inc., some southeastern forestry equipment dealers don’t know what brands, if any, may be added to or deleted from their lineups in coming weeks, or if they will be expanding or selling different products under a different name at a new location. This much of the foggy scene is clear, however: Cat yellow has replaced Timberjack green at Pioneer stores. 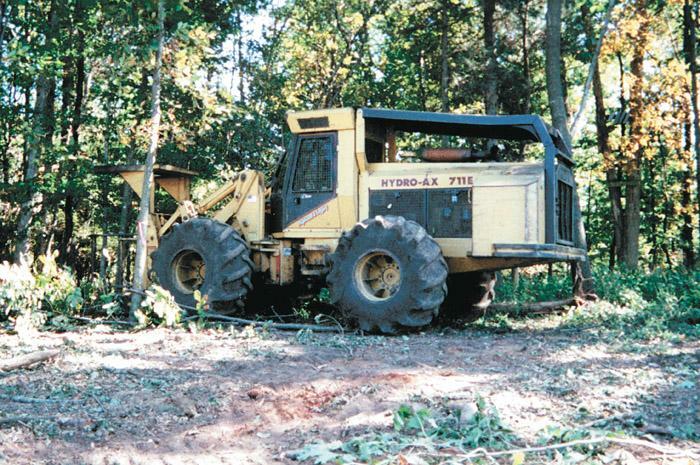 Logging is a living for the family of W.C. (Dub) Hodges, 57, owner of W.C. Hodges Logging. Dub has worked at it since quitting a foundry job in 1967. Sons Keith and Joe Hodges, both 37, were raised in the logging life. Today, Joe runs the crew while Keith owns a truck, though both do whatever it takes to keep the job running. 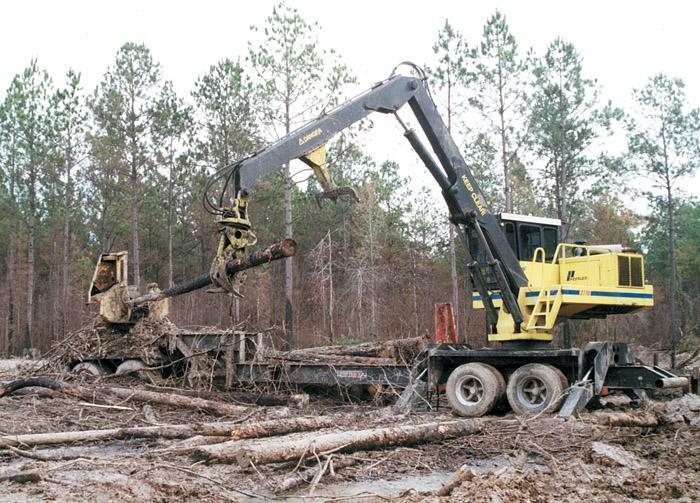 Just when long-time south Alabama logger Carl Sessions thought he was going to retire, his crew beat him to it. In the early ’90s, as he approached age 65, Sessions, now 70, was looking at packing it in, selling out and leaving the world of diesel fumes, wood chips, haul rates and skidder ruts behind. However, his wife, Evelyn (referred to by Sessions as “the comptroller of the currency and general advisor”), advised him that he didn’t need to retire until she was old enough to qualify for Medicare, and she still needed the health insurance provided through the logging job. C.R. Riley, of Doucette, Tex., died December 14 at 81. 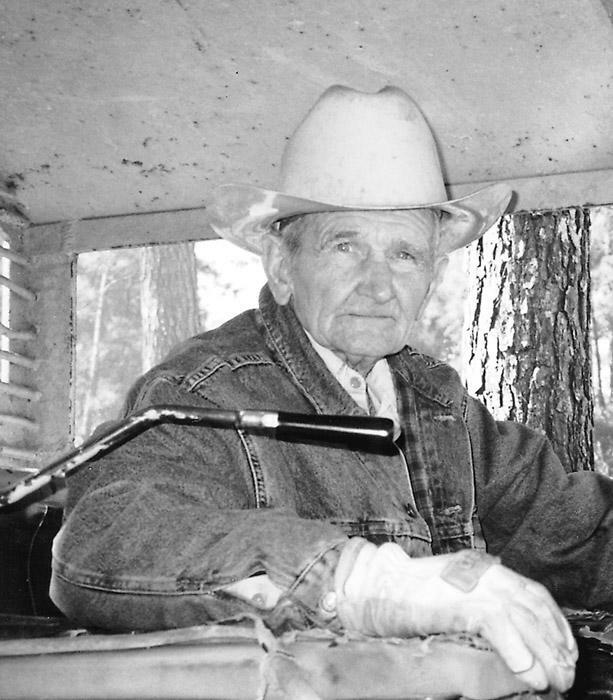 Born April 13, 1919, Riley’s career spanned more than six decades, going from cross-cut saws, ­double bit axes, horses, mules, skid poles and rolling chains to fully mechanized logging equipment. Riley continued to work long after his “retirement” and sell of his business a few years ago. John Deere offers 3 knuckleboom loaders with optional slashers or delimbers—the 335, 435 and 535. Loaders feature cabs with wraparound windows and angled skylight for visibility and plug-in socket for phone or computer. Engines are John Deere 170 HP units in the 335 and 435 and 250 HP unit in the 535. Boom on the 535 extends to 30' 6" radius with maximum 37,200 lbs. payload. “It’s really sad to see that decisions for the nation’s public forests are made by a select few in Washington DC. 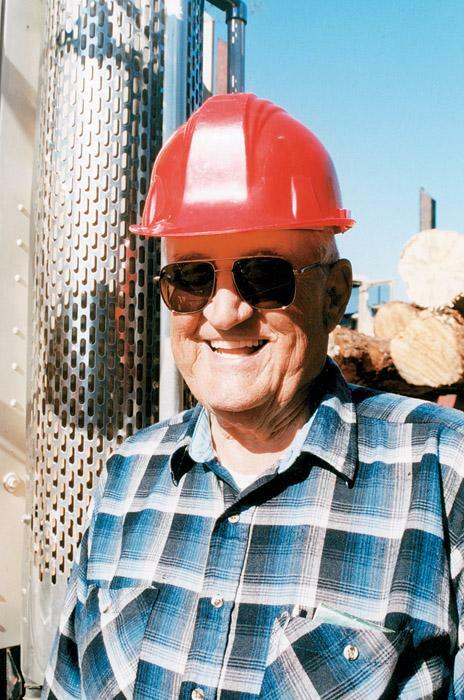 It makes more sense that decisions affecting local areas should be made by the ones who live here.”—South Dakota logger Arlo Potter, co-owner of Potter Logging, on Forest Service gridlock in the wake of recent wildfires that ravaged timberland in the Black Hills National Forest. A Lake States logger was alone on the landing. 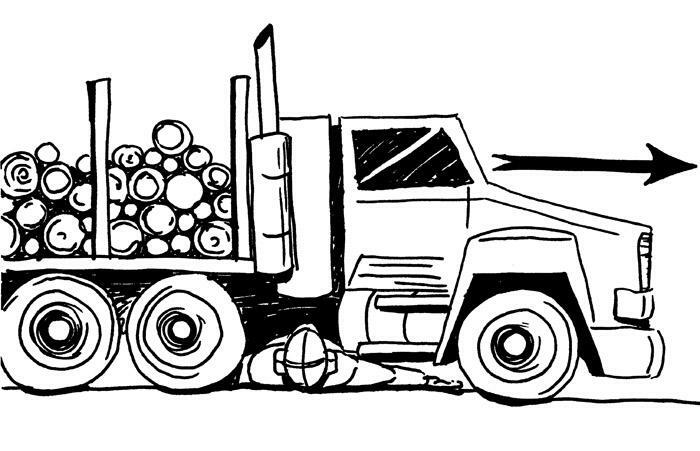 A logging truck had developed a mechanical problem, and he was attempting to survey the situation. It was late, and weather conditions were fair. The 66-year-old had worked in the woods most of his life as a self-employed independent contractor. He received little, if any, formal training.